With over 200 registrations, the third Living Lake symposium was the biggest yet! The programme included a series of speakers covering a variety of topics on Tuesday November 15th and Wednesday November 16th. This was followed by a field trip on Saturday 19th November to visit some key sites. 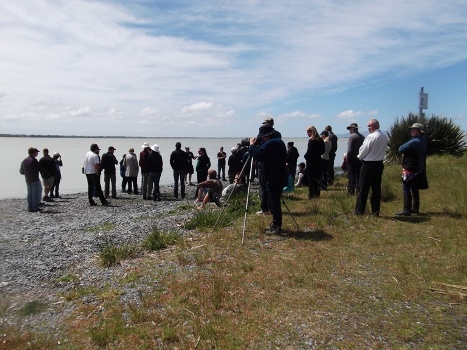 Thanks to our sponsors – Environment Canterbury, Ngai Tahu, NIWA, DOC, Fish & Game NZ, Lincoln University, Selwyn District Council, Canterbury Community Trust, Meridian and Fonterra. Thanks also to the local producers who donated produce or gave us special deals. The full programme, which includes brief abstracts of the presentations, can be downloaded here. The slideshows from each of the presenters can also be downloaded – click on the links below. 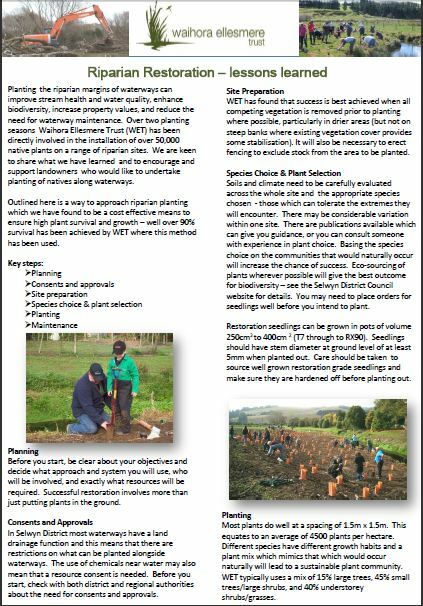 Land Use and Water Quality – Ian Brown, Environment Canterbury and Melissa Robson, AgResearch. Additional notes for this presenatation are also available. 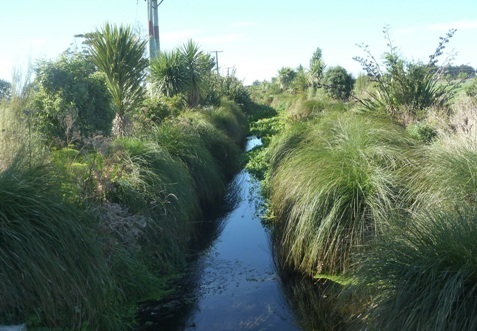 Have your say on Water Management – Selwyn-Waihora Zone Committee present their draft Zone Implementation Programme. Following the two days of presentations, on Saturday 19th November, a field trip visted some key sites around the lake, with a great view from the bus of a number of restoration projects along the way. At our first stop we heard from Phil Garrett, a local dairy farmer who has planted the riparian zones of many drains around his property with native plants. Roger Kilpatrick from Fonterra also shared an industry vision for the catchment. 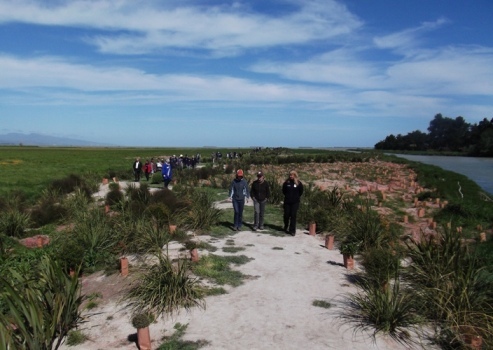 We then moved onto Lakeside Domain and heard about the amazing birdlife from Ken Hughey and about water quality and the macrophyte beds from Tim Davie. Our final stop was at Lower Selwyn Huts where Stephen Brailsford explained his very successful approach to riparian restoration, and we heard from Robin Smith about key issues for DOC. Robin also showed us the extent of the public conservation land around the lake.